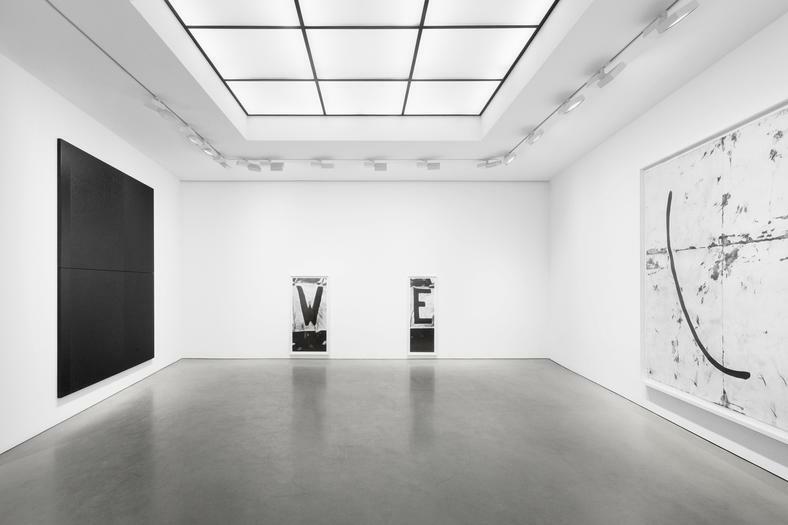 Andrea Rosen Gallery is delighted to present an exhibition of work by Sharon Hayes, Tony Lewis, and Adam Pendleton at Gallery 2. 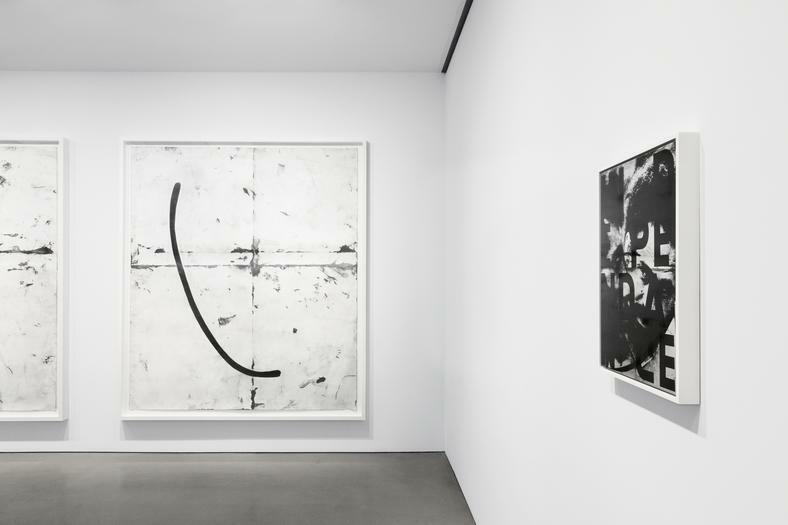 The exhibition explores the relationship between the use of language and the formal and social implications of abstraction. 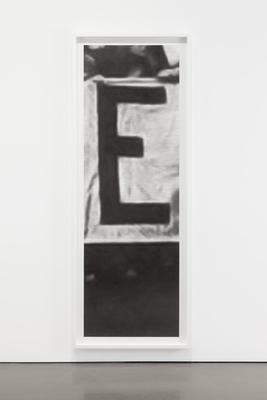 In this exhibition Sharon Hayes presents two works, each a fragment from a banner carried in the Women's Strike for Equality on August 26th, 1970, that said "WOMEN OF THE WORLD UNITE!". The works approximate the scale of the original banner, but the material transformation and presentation of selected letters from the word WOMEN alter the original's legibility and seemingly straightforward declaration of meaning. 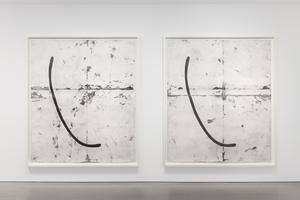 Tony Lewis presents a large graphite work on paper diptych featuring a symbol based on Gregg shorthand. These works continue Lewis’s interrogation of language systems. 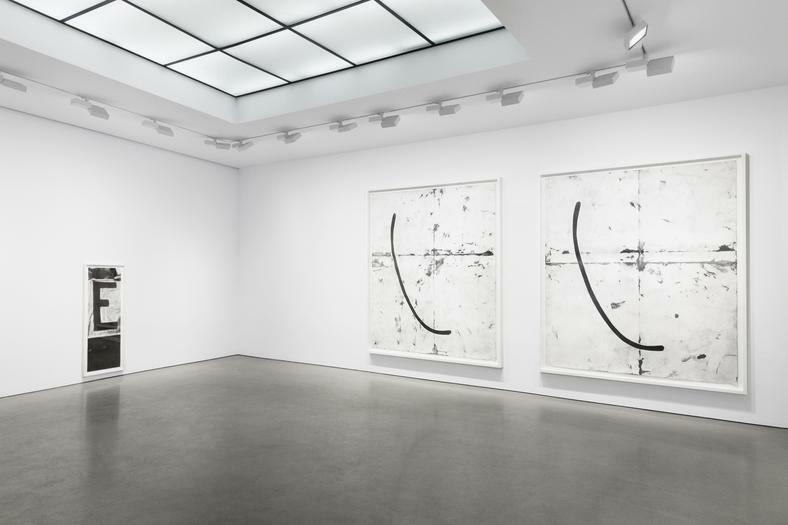 Using the shorthand symbols, these works are at once technically more specific while becoming increasingly gestural and abstract. 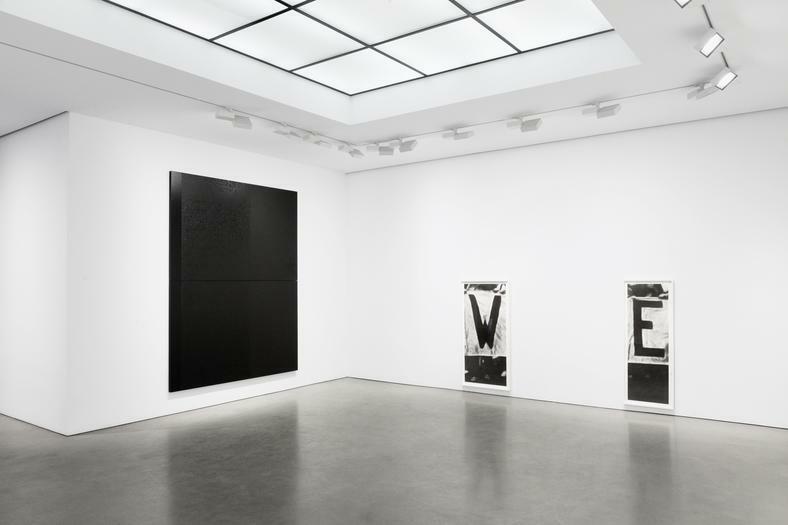 Presenting a painting from his well-known body of work “Black Dada” as well as a work from a series layering text and images on mirrored stainless steel, Adam Pendleton’s works in this exhibition give material form to the artist’s engagement with a dynamic idea of history; one that is ever mutable and reflective of subjective and infinite narrative potentials. Instrumental in the thinking about this exhibition is a 2006 essay about Felix Gonzalez-Torres’s work by Miwon Kwon. 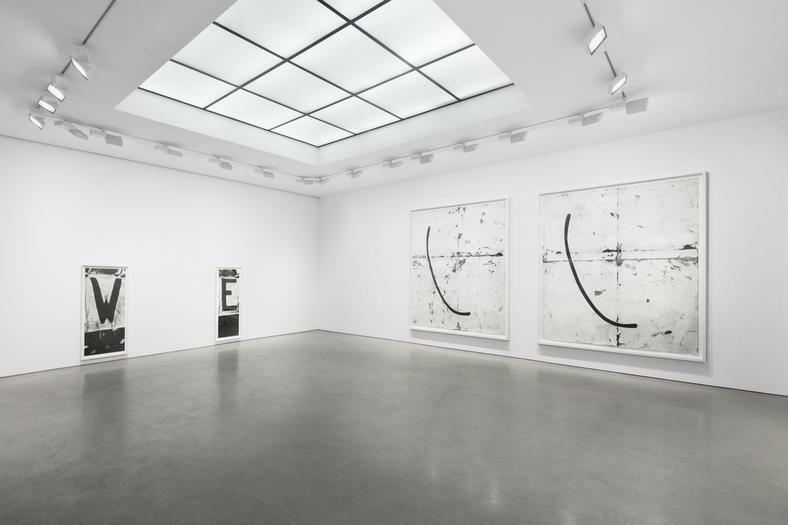 In it she argues: “the radicality of FGT’s work lies in the insinuation of the particular in the place of abstraction, while simultaneously destabilizing the particular as a fixed positivity. And with this complex move, the artist accomplishes a remarkable reversal: everyone becomes a particularly marked subject, making it impossible for there to be an unmarked, invisible, hierarchy-determining point of reference. Which means that no one is less than public either.” Kwon’s text provides a useful lens for reading these works as well, offering a possible way for abstraction to engage with specific histories, politics, and identities. Sharon Hayes was born in 1970 in Baltimore, MD. She has had major solo exhibitions at the Reina Sofia, Madrid; the Art Institute of Chicago, and most recently at the Whitney Museum of American Art, New York. Her work has been widely exhibited in significant exhibitions including The Encyclopedic Palace at the 55th Venice Biennale; the 2010 Whitney Biennial, documenta 12 (collaborative project), Kassel; MoMA PS1, Long Island City, NY; Generali Foundation, Vienna; Museum Moderner Kunst (MUMOK), Vienna; Artists Space, New York; New Museum, New York; Tate Modern, London; and the Istanbul Biennale. Hayes has been recently granted the Alpert Award in the Arts. The artist lives and works in New York. Tony Lewis was born in 1986 in Los Angeles, California. 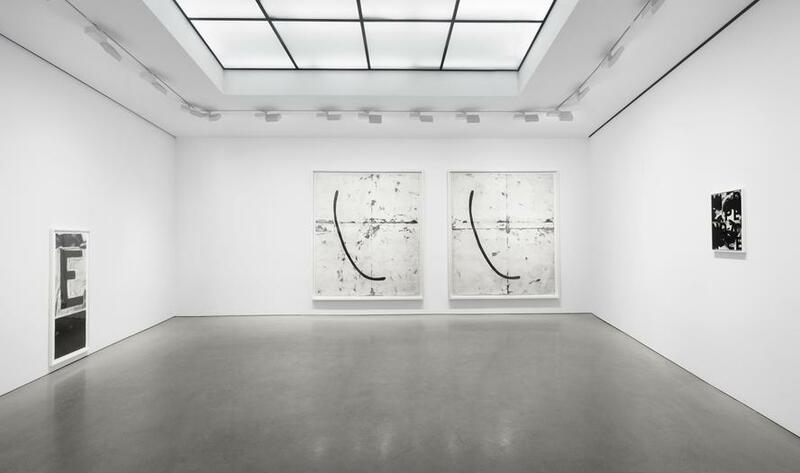 Recent exhibitions have taken place at Massimo de Carlo, London; Shane Campbell Gallery, Chicago; Room East, New York; Richard Gray Gallery, Chicago; and Autumn Space, Chicago. 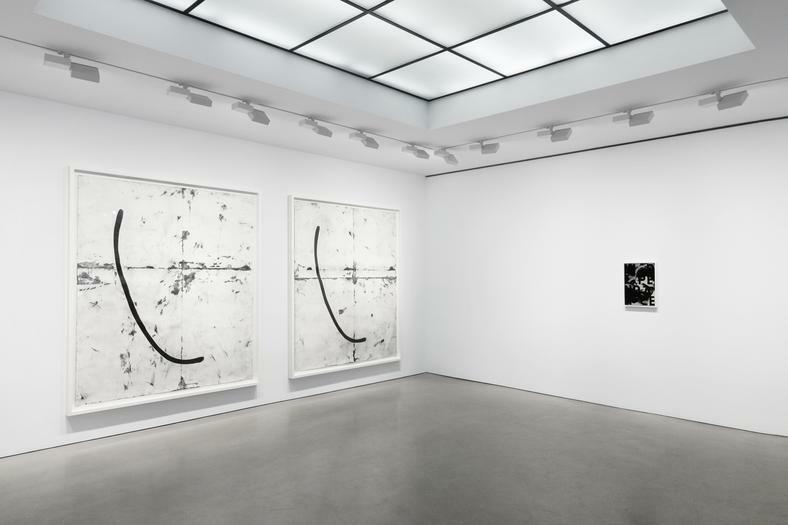 His work was presented in the 2014 Whitney Biennial, and will be the focus of an upcoming solo show at Shane Campbell Gallery, Chicago. Lewis lives and works in Chicago, IL. 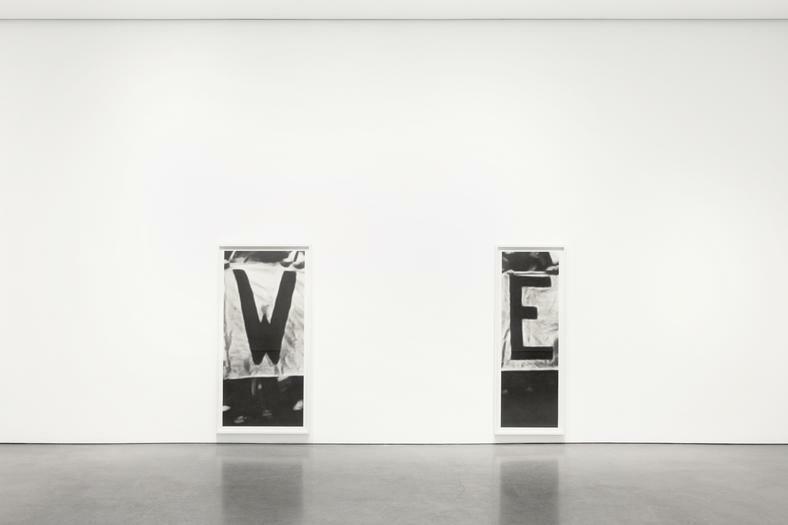 Adam Pendleton was born in 1984 in Richmond, Virginia. Recent solo exhibitions have taken place at Galleria Pedro Cera, Lisbon; Pace Gallery, New York; Shane Campbell Gallery, Lincoln Park; Travesia Cuatro, Guadalajara; and Pace Gallery, London. 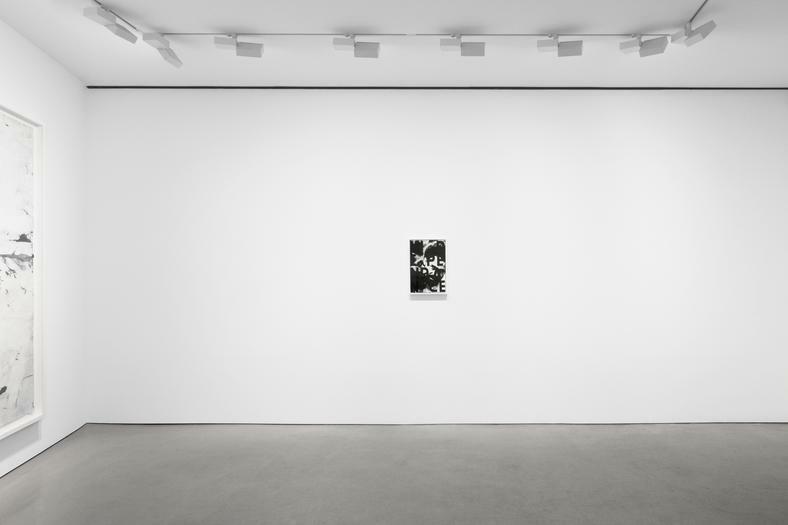 Pendleton’s work recently included in group exhibitions at Whitechapel Gallery, London; 21er Haus and Winter Palace, Vienna; Studio Museum in Harlem, New York; Pace Gallery, Beijing; Museum of Modern Art, New York; Swiss Institute, New York; and Palais de Tokyo, Paris. Pendleton lives and works in Germantown, New York, and Brooklyn, New York. This exhibition is organized by Cory Nomura.